Fall is upon us and the air is soon to be cooler. A relief for many, especially bringing a close to a very active hurricane season. 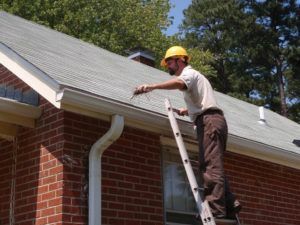 Now that summer is behind us here are some things you can do to make sure the roof over your home is ready to battle the elements at hand. 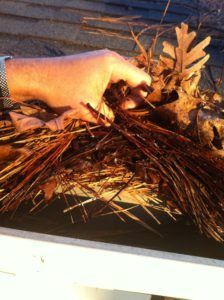 Keep your gutters clean. The last thing you need is to have a roof leak simply because your gutters are not draining properly. 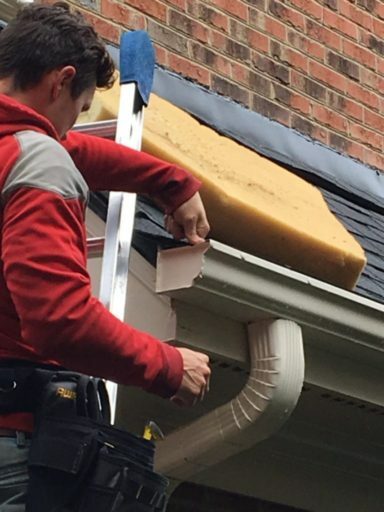 This is a common reason for leaks and plywood damage as the water backs up under the first course of shingles as opposed to draining down the down spouts. Hire a local and certified roofing contractor to do a thorough roofing inspection. It is well worth the service call and fee to have someone with knowledge to walk your roof and suggest any repairs that need to be done. This will prevent leaks that could occur during the winter months ahead. If your roof is beyond repair, look to go ahead and have it replaced. There is no need to push a 20 year shingle into 30 years on a roof. Although this is a large expense, it is a very important one. The roof protects all of those other investments like your new kitchen or interior paint job from getting damaged. Have your trees trimmed and/or removed if they are dead. The last thing anyone needs is to have the weight of ice or snow bring a large limb or tree through the roof of their home. A reputable arborist will assess your trees to give you an idea as to what needs to be pruned versus what needs to be removed. Therefore, don’t neglect the top of your home. Take care of it and it will take care of you.